Made a few Spikey things for you to play around with. 100% free , all i ask is that you mention my name. It's good but you need to post the links separately so they can be properly animated. Thanks Charlie , Added a zip file which contains the separate sprites. 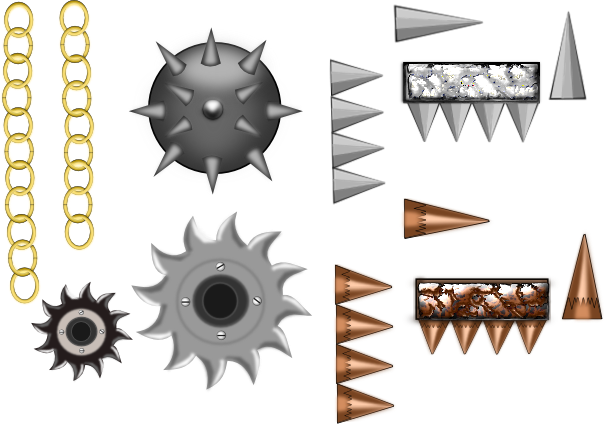 Also added a new ground spike sprite.